Dr. Rossi accepts the following list of insurance providers. Select your insurance provider to see more details. I am a dermatologist who specializes in Mohs micrographic surgery and other dermatologic surgeries for the treatment of skin cancers such as melanoma, basal cell carcinoma, and squamous cell carcinoma. I also have extensive experience treating extramammary Paget disease and cutaneous penile carcinoma. Additionally I treat benign skin conditions, and skin conditions that arise after cancer therapy in pediatric and adult patients. 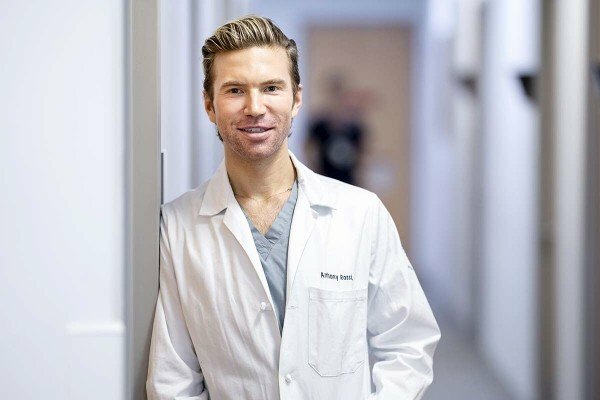 I have a strong interest in cosmetic dermatology and nonsurgical approaches to treatment, such as topical therapy as well as laser and light-based treatments. I see patients at MSK’s 60th Street Outpatient Center in Manhattan as well as at MSK Westchester. As a strong advocate for patients, I believe my job is to help each person I meet make informed decisions about their care. I present the full spectrum of treatment options, from surgery to nonsurgical therapies when appropriate. I also pay close attention to quality of life, appearance, and functionality, and work to address these concerns in the short term as well as in the future. I enjoy partnering with patients to help get them back to all of their regular activities and living a full life. I can help make recommendations for skin cancer prevention and screening, as well as treatments to lower your risk of future skin cancers. Another aspect of my practice involves caring for pediatric and adult patients with conditions that result from the treatment of other cancers, including stretch marks and skin atrophy. I use treatments such as laser therapy to address radiation dermatitis, radiation fibrosis, and other dermatologic side effects of cancer care. In addition to patient care, I devote a significant portion of my time to research. I believe that technology holds the potential to greatly improve the care of people with skin cancer and to enhance overall skin health. My particular area of interest lies in noninvasive imaging methods, which can be used in a variety of ways to improve skin cancer care, including in place of traditional invasive skin biopsies. I have significant experience in using a technology called reflectance confocal microscopy to help delineate borders of lentigo maligna melanoma and nonmelanoma skin cancers prior to surgery. I am working to expand the application of this technology to other aspects of skin cancer management. I have authored numerous journal articles and book chapters on topics such as cutaneous oncology as well as treatment of scars, and I actively participate in the education of other healthcare professionals, including MSK’s own continuing medical education program. Nationally, I chair a forum at the Annual Conference of the American Academy of Dermatology presenting to other dermatologists on the latest innovations in noninvasive imaging. Internationally, I have lectured on nonsurgical treatment options and the use of cosmetic and laser procedures to help improve quality of life in skin cancer survivors. I have also provided care to patients in Tanzania, Botswana, Durban, Kenya, and Ghana, using teledermatology to help ease the burden of skin diseases in those countries. Patient safety and access to care have been the focus of my advocacy work. I have participated in truth-in-advertising campaigns to help consumers make informed decisions about their skin care. For these and related activities, I have received presidential service awards from the American Academy of Dermatology, the American Society for Dermatologic Surgery, as well as the American Society for Lasers in Surgery and Medicine. Outside of work, I enjoy travel, tennis, and indoor cycling. Effect of laser therapy on quality of life in patients with radiation-induced breast telangiectasias. Rossi AM, et al. Lasers Surg Med. 2018. Beyond skin deep: taking bedside dermatology to the next level with noninvasive technologies. Rossi AM, et al. Br J Dermatol. 2018. Basal Cell Carcinoma, PART II: Contemporary Approaches to Diagnosis, Treatment, and Prevention. Cameron MC, et al. J Am Acad Dermatol. 2018. Basal Cell Carcinoma: Part 1. Cameron MC, et al. J Am Acad Dermatol. 2018. Signs of Facial Aging in Men in a Diverse, Multinational Study: Timing and Preventive Behaviors. Rossi AM, et al. Dermatol Surg. 2017. Visit PubMed for a full listing of Dr. Rossi’s journal articles. Pubmed is an online index of research papers and other articles from the US National Library of Medicine and the National Institutes of Health.